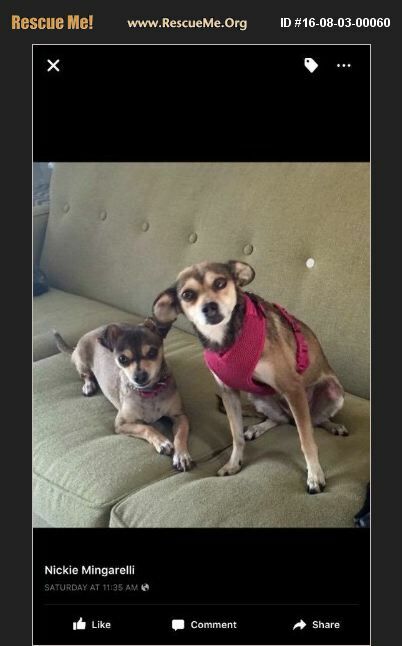 Yennie (left) and Maggie (right) were rescued from the streets of Tijuana over a year ago, They had a foster, but she moved and could no longer keep them, We were contacted, They are in a foster and aside from Yennie being fearful (she is gaining more confidence), they are perfect dogs. They live with bigger dogs, a cat and birds. They would love to find their forever. Apart or together.